If you have experienced water damage in Corona del Mar, California, you've come to the right place. West Coast Restoration Inc has been drying and restoring Corona del Mar water-damaged properties since 1990. 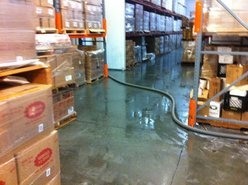 Give us a call at (714) 584-4894 now and let us expertly resolve your water damage and your worries. We know that time is of the essence when you've experienced water damage in your Corona del Mar property. Within just 24 hours after a leak or flood, microbes can begin to grow, and structural integrity of your building can become compromised. The affected areas must be dried quickly and thoroughly. When you call West Coast Restoration Inc, our technicians will be on the scene quickly begin the process of rectifying the situation. Because West Coast Restoration Inc has been a leading Corona del Mar Water Damage Restoration Company since 1990, you'll get the professional service and quick response time that you need. Your biggest investment has been damaged, and we understand the importance of containing the problem and helping you with a solid remedy. Our Corona del Mar water damage restoration crew is standing by to handle your call. We'll arrive on the scene quickly to assess the damage and come up with a solution at a reasonable price. From start to finish, we'll be with you every step of the way until your property has been restored to it's original condition.